As a designated spokesperson for the American Academy of Pediatrics and an infant and child health advocate, Dr. Alanna Levine is a working mom who understands parents need solutions to the toughest baby challenges. And what could be more messy or difficult than dealing with colic, gas and reflux. 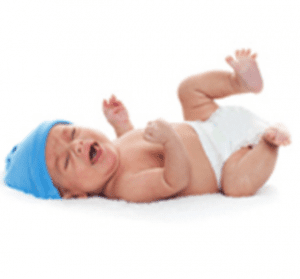 Nothing strikes fear in a parent faster than colic—what causes it? No one knows. Sometimes it’s confused for gas or reflux. Some experts suggest these babies have a hard time blocking stimulation and they’re feeling over-stimulated. They just can’t soothe themselves calm. How do you handle a colicky meltdown? A baby that cries uncontrollably for 3 hours a day causes more than just a little stress for parents. Obviously, you don’t want to leave a 1-month-old baby screaming and crying so I advise that you pick him up, soothe and swaddle him, and get other family members involved with helping baby. Try getting into a dimly lit room with soothing music and a rocking chair. Or walk around slowly and calmly. Take turns and set time limits—just getting 20-30 minutes away from the screaming can help a mom regain her composure and resolve to help baby. And remember there’s a light at the end of the tunnel: Most colic goes away after 4 months. When is it reflux or gas? All babies reflux to some degree—they have small stomachs. If your baby is struggling against reflux, she’ll be arching backwards, refusing to take the breast or bottle. Reflux is typical earlier in infancy and tends to go away by 10 months. But if your baby is losing more than she’s eating at each feeding, it’s time to talk to your healthcare provider. Gas builds up in babies’ tummies as well and their stomach will feel hard instead of soft. To help relieve the pressure, rest your baby on his tummy over your lap or shoulder and soothe him with gentle motions. 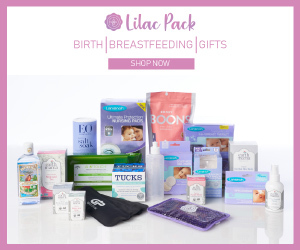 I tell moms, whether they’re bottle-feeding breast milk or formula, to look for bottles that reduce the amount of air getting to your baby to help with these problems. You’re an advocate for breastfeeding, how do you do that as a working mom? At six weeks postpartum, I was back to work. I had a hands-free bra and a breast pump. I would pump in my car to and from work. I would pump in the hospital during a long shift. I even pumped on jury duty when we were sequestered for a decision. I handed bottles of warm breast milk to the bailiff so that he could put them in a refrigerator for me. I have a saying in my practice: “Where there’s a will, there’s a way…” I breastfed my daughter for 14 months and my son for 17 months. Dr. Alanna Levine is a pediatrician with Orangetown Pediatric Associates and an attending pediatrician at Englewood Hospital & Medical Center working with high-risk babies. She was a guest speaker at a Playtex-sponsored symposium on infant feeding.